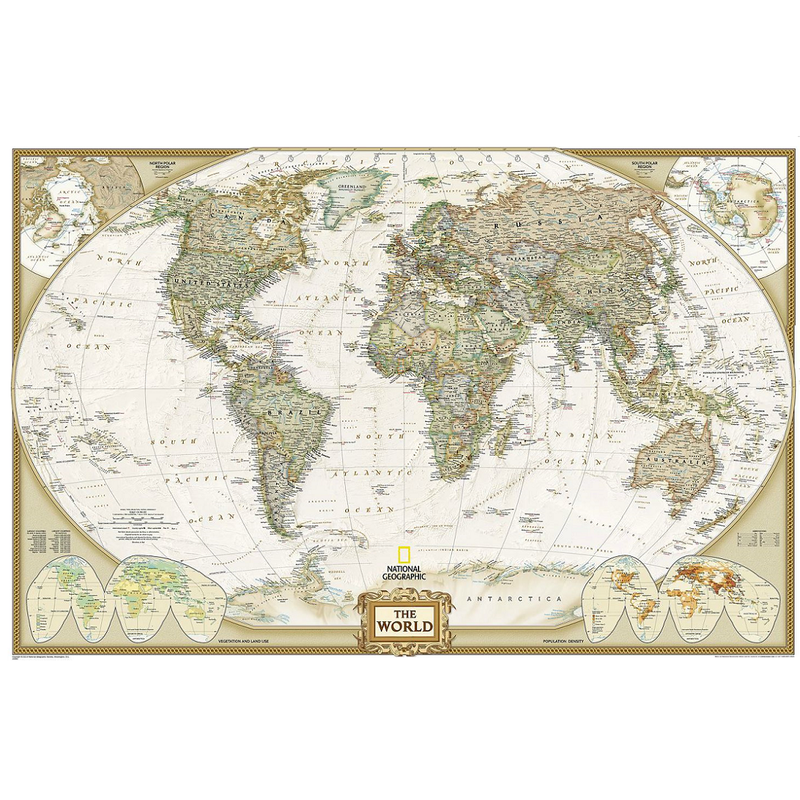 This flat wall map is available in various sizes and come either unlaminated, laminated, or laminated with wooden hanging rails attached. The World Executive wall map uses an antique-style colour palette and stunning shaded relief that provide a richness perfect for any decor. 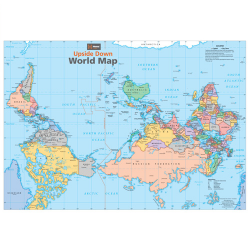 Drawn in the Winkel Tripel projection, distortions are minimised unlike many other World maps. 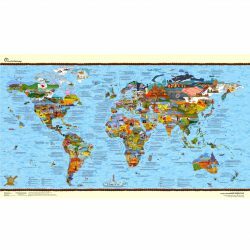 National Geographic’s World Maps are meticulously researched and adhere to their convention of making independent, apolitical decisions based on extensive research using multiple authoritative sources. Thousands of place names are carefully and artistically placed on the map to maintain legibility even in the heavily populated ares of Europe, Asia and the Middle East. Details include clearly defined international boundaries, cities, physical features, rivers, and ocean floor features. Corner inset maps feature vegetation and land use, and population density as well as the north and south polar regions. 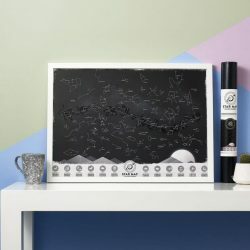 This map is available in various sizes and options. For a larger version, the World Executive Mural is unsurpassed!